Launch of new motorcycles in the price range is the reason behind this decline. KTM 390 Duke has registered a 69 percent dip in sale in December 2018. Sales in December stood at just 106 units as compared to 340 units sold in December 2017. In-fact, KTM Duke 390 has been posting negative growth ever since March 2018. November 2018 sales stood at 239 units, down 44 percent as compared to 430 units sold in November 2017 while in October, September and August as well, sales were down 21 percent, 28 percent and 22 percent respectively. It was only in January and February 2018 that the model received positive sales at 1,041 units and 713 units respectively. Total sales registered by KTM Duke 390 in 2018 stood at 7,323 units as compared to 10,198 units sold in 2017. This was a decline of 28%. Q4 2018 saw the highest decline, when sales for the quarter declined to just 898 units. In comparison, Q1 2018 saw sales of 2,470 units. There could be many reasons for this dramatic fall in sales. One reason could be due to increased competition from new motorcycles launched, which are priced in a similar price bracket. Over the last 1 year, many new motorcycles have been launched in the Rs 2-3 lakh range. This includes TVS Apache 310, BMW G310R, BMW G310GS, Royal Enfield Continental 650 and Interceptor 650, Kawasaki Ninja 300, etc. Though none of these motorcycles have single handedly managed to deliver huge sales numbers, but collectively they have managed to create a huge dent in the sales of Duke 390. 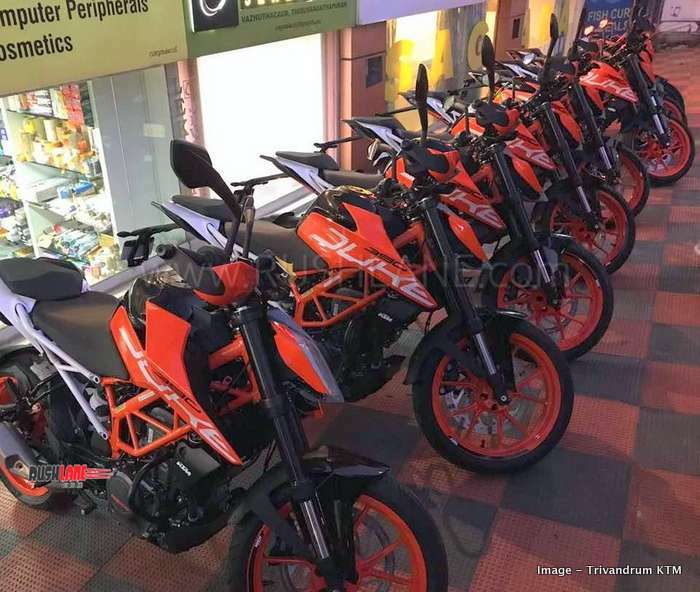 Below is the detailed sales report of KTM Duke 390 for every month of 2018, and the same has been compared with respective sales figures from 2017. There is no doubt that the sales are on a decline. If new rivals in the segment was not already a problem, there are many new options in the segment below that are performing increasingly well. For example, the new KTM Duke 125 clocked 2,414 units in its first full month of sales. Yamaha R15 on the other hand, is registering an average of 7,000 units a month. All these factors combined, is not helping KTM Duke 390 sales to come back to what it was earlier. KTM knows about this, and this is why they are adding new bikes in the line-up. Duke 125 was one such addition, to keep company’s overall sales on the growth path. Soon, KTM will launch 390 Adventure in India. It is expected to bring boost in sales for the company. KTM 390 ADV will be based on the Duke 390 platform and get powered by the same 373 cc liquid cooled engine seen on the Duke 390; tweaked for better low end and mid range torque generation. This engine produces 43.5 bhp power and 37 Nm torque and gets mated to a 6 speed gearbox on the D390. The KTM 390 Adventure will be priced at around Rs 3 lakhs and will take on the BMW G 310 GS, Kawasaki Versys-X 300 and Royal Enfield Himalayan in terms of competition.